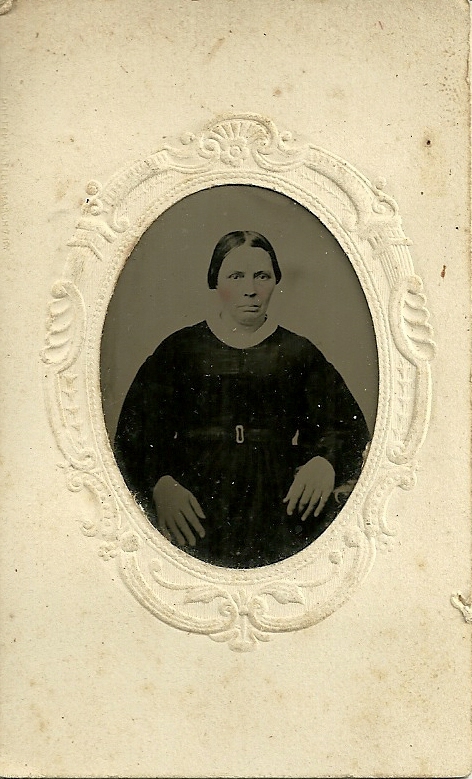 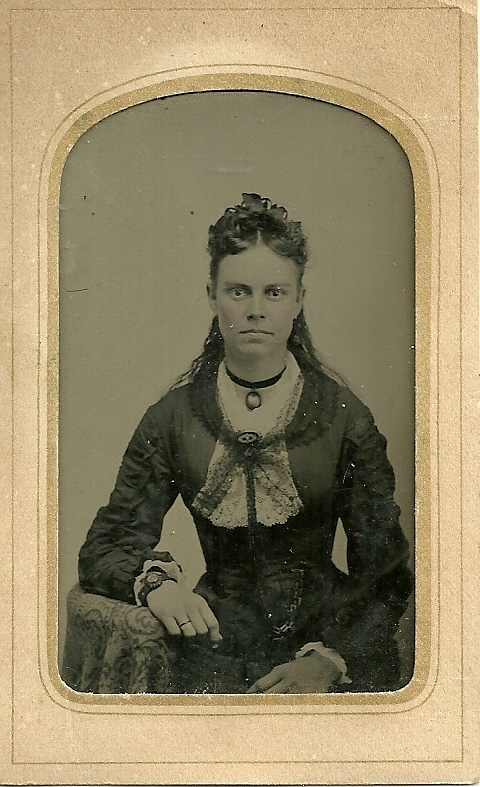 Three tintypes of unidentified women purchased at a Bangor, Maine show in 1990, part of a grouping of about fifty tintypes where many of the people bear a family resemblance. 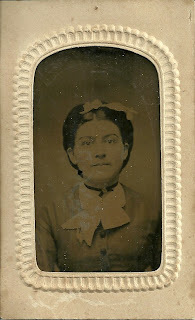 I'll be posting images of more of the tintypes over the next few weeks. 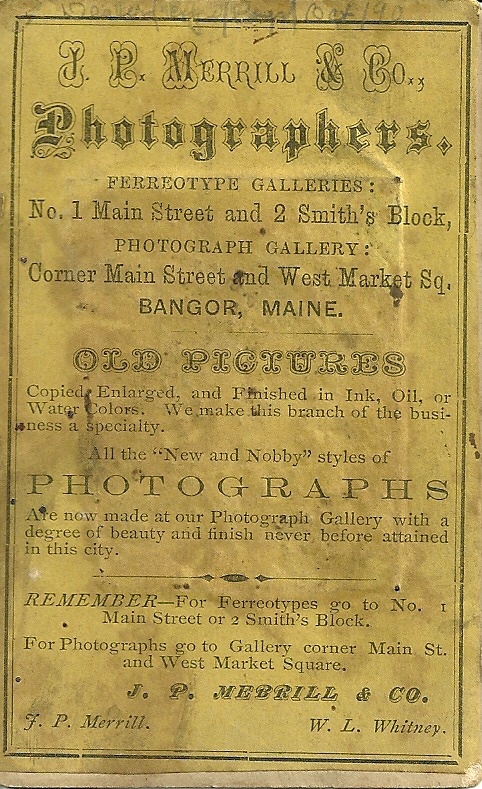 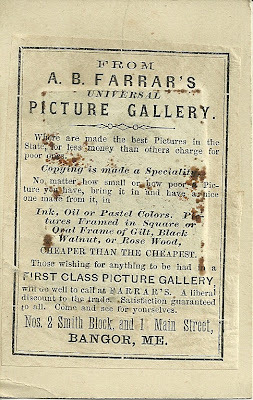 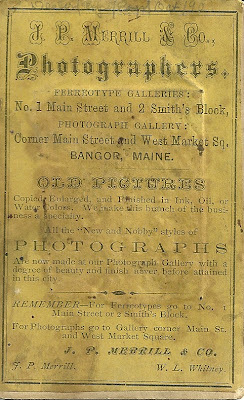 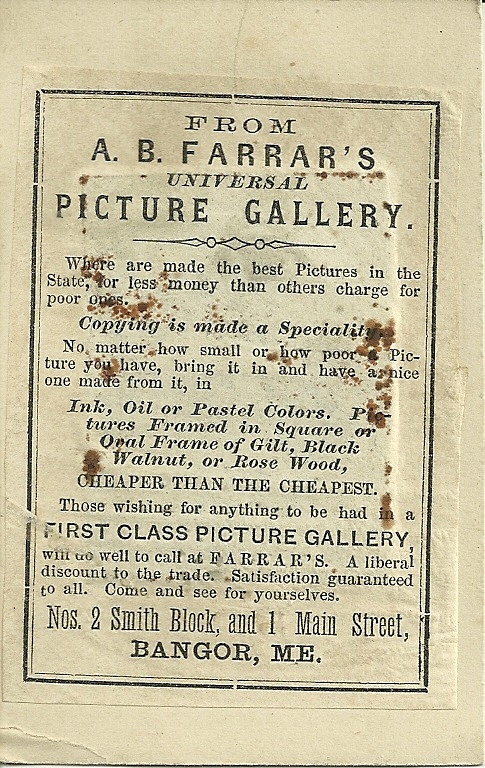 Included in the group are two with a backing that indicates they were taken by a Bangor, Maine studio. 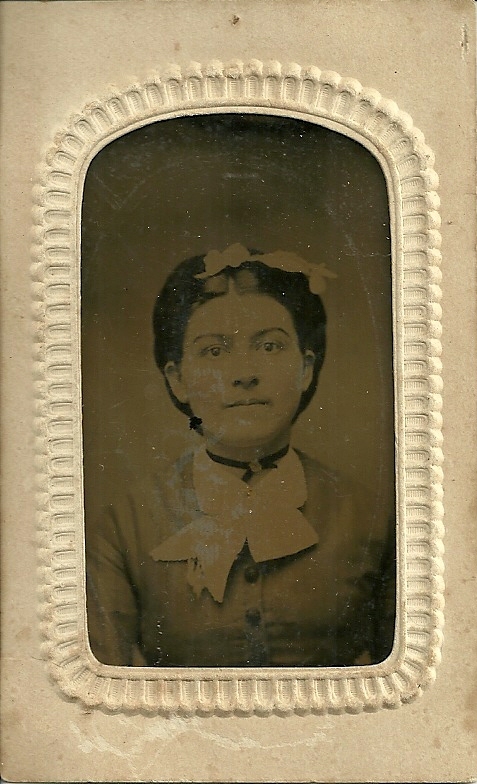 If you recognize any of these women from family photo albums, please leave a comment in the comments box or contact me directly.